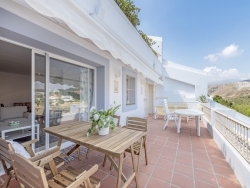 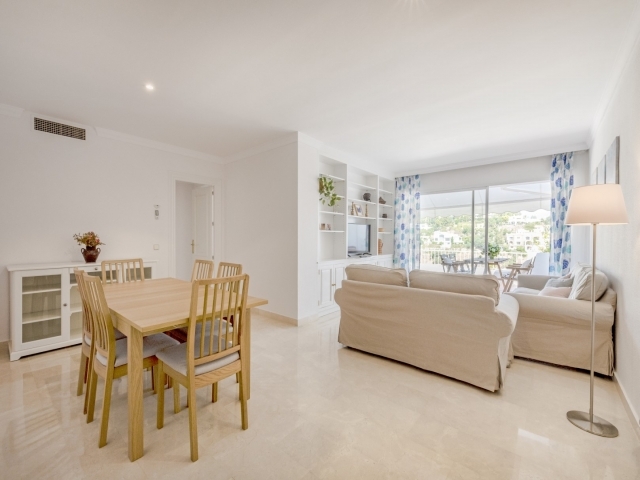 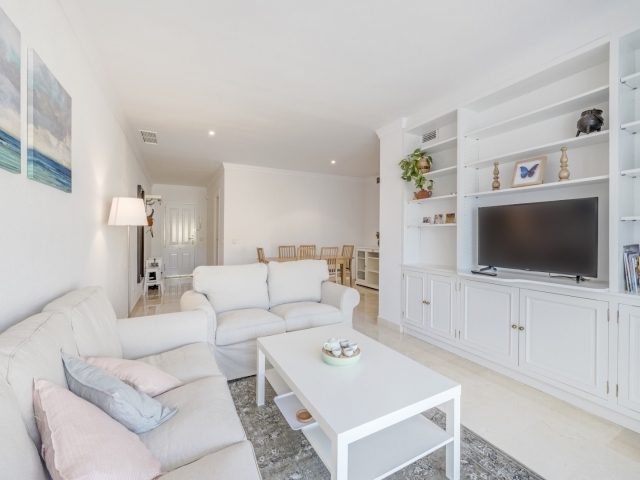 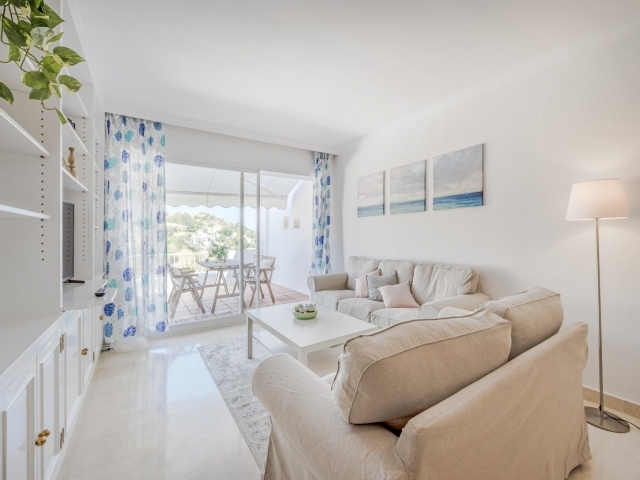 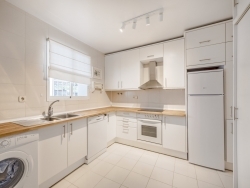 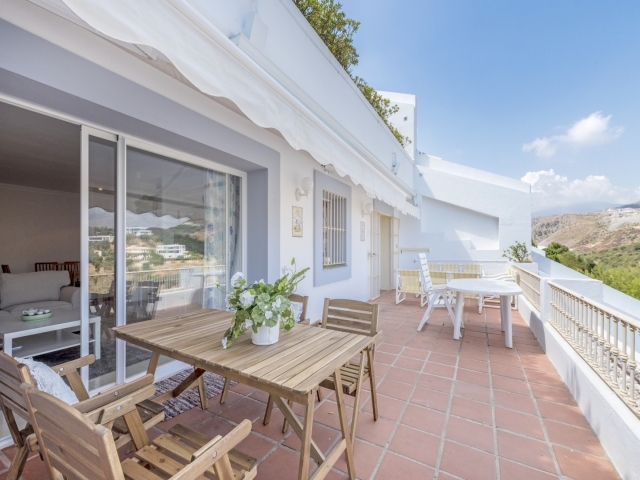 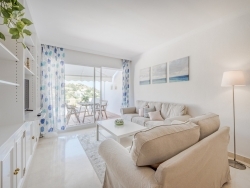 Spacious and welcoming, three bedroom apartment situated in El Mirador II, La Quinta, available for long term rentals. 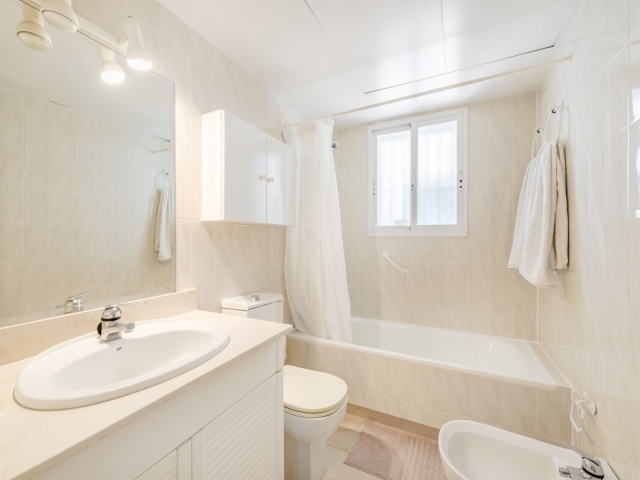 It is situated within close proximity to the Westin Resort hotel with several restaurants, golf club house, spa and gymnasium. 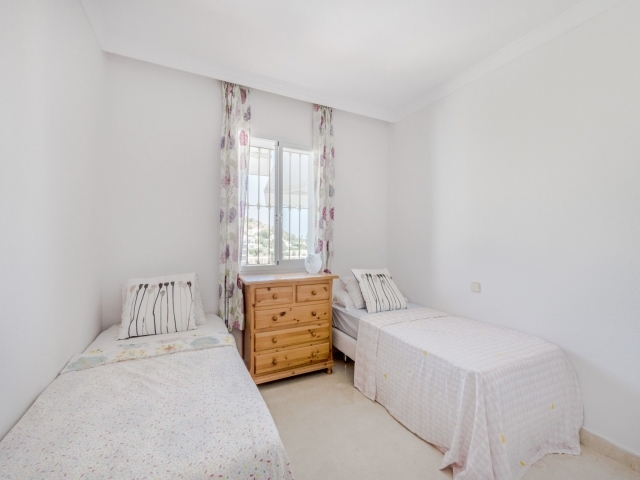 The property comprises of three great sized bedrooms, the first guest bedroom has two individual beds set up as a double bed, the second bedroom has two individual single beds which have been separated, great for families with young children. 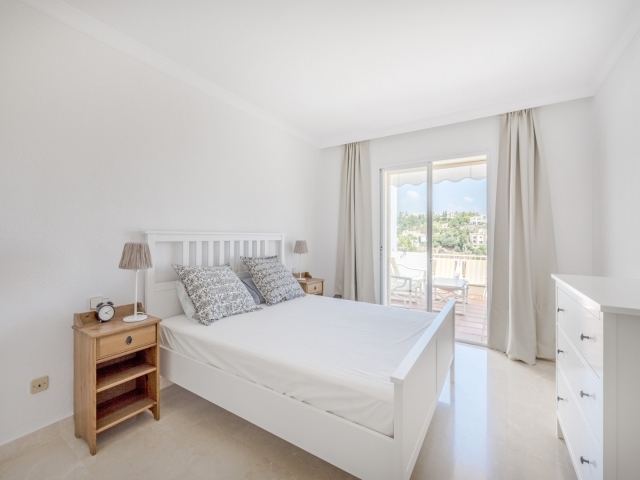 The third and master bedroom has a double bed and direct terrace access. The apartment has a large fully fitted kitchen including a combined living and dining area which leads outside to the main terrace. 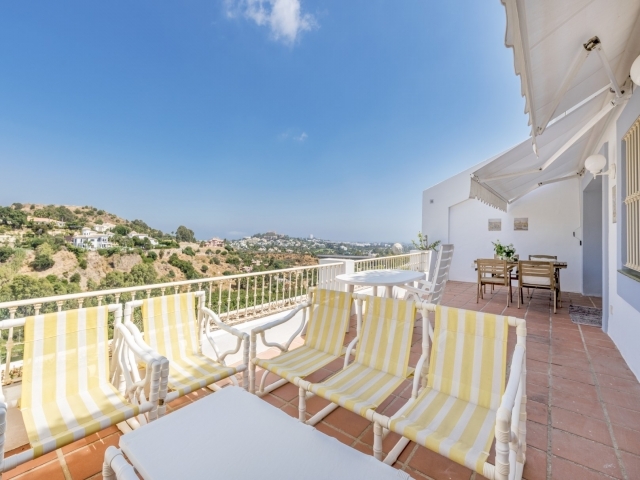 Here you will find an external dining, sunbathing and sofa area, the ideal area to enjoy outdoor living whilst entertaining friends and family with a stunning Mediterranean backdrop. 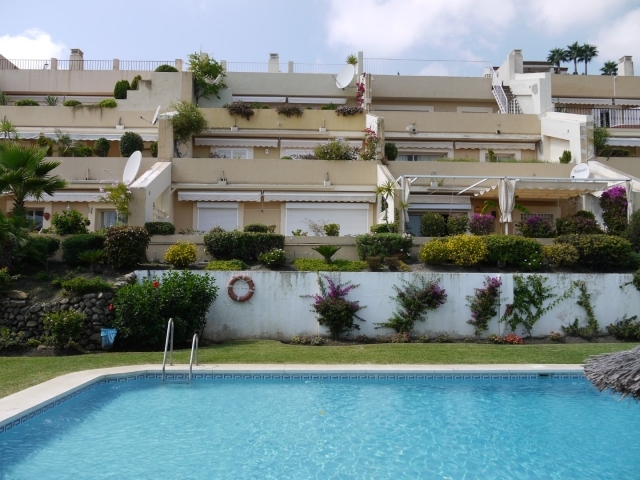 The views of the lakes, mountains and golf course are incredible! 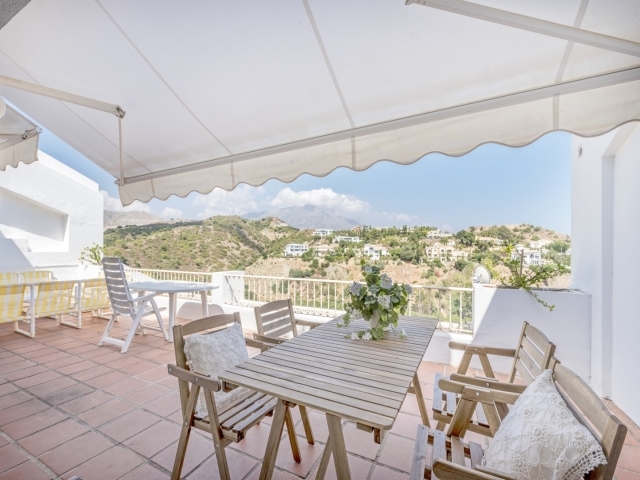 Sit back, relax and enjoy the glorious surroundings and wake up to mesmerising views of mountains and golf valley!